We specialize in developing solutions for digital publishing, we work with new agencies, publishing houses to develop their online portals and mobile apps. Digitization is a must for every business now-a-days and news agencies, media and publication houses are no exceptions to it. Gone are the days when the offline content was sufficient. Today, people prefer reading content online and mostly on their mobile devices. We have a thorough understanding of digital publishing and we work with new agencies & media houses to develop their online portal & mobile apps. Client - One of India’s leading media house involved in publishing magazines, books, newspapers and having multiple news channels. 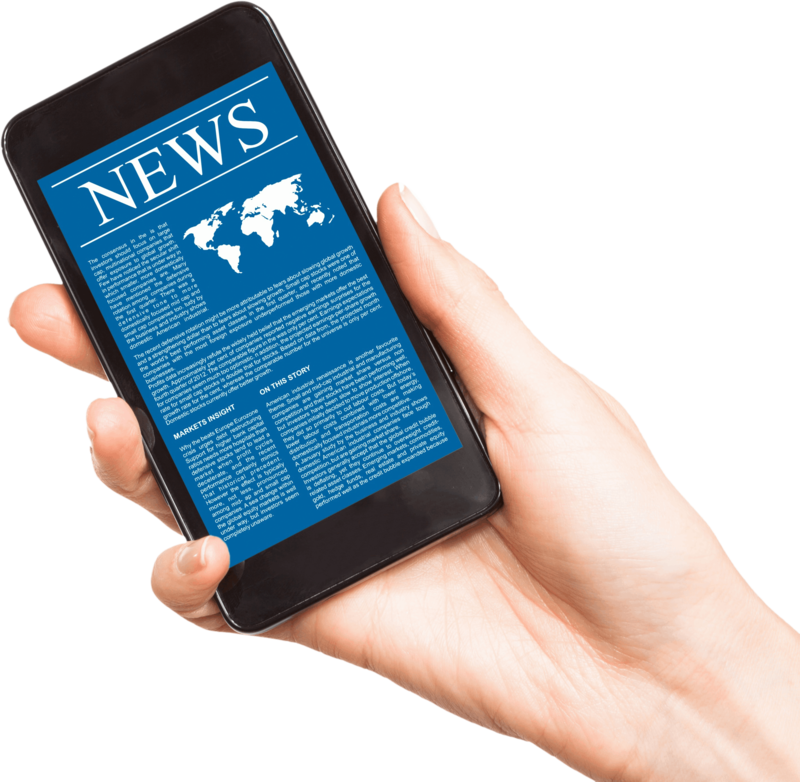 Challenge - Client wanted a news based mobile app with an aim to present the latest news digitally with attractive user interface. Solution - Emorphis analyzed & researched to design an app that provides latest news with a beautiful UI along with a cloud based backend. SaaS based solution & template based stories. Manage story categories & multi-lingual support. Social media & Google analytics integration. Readymade APIs for consumption on any platform. Client - USA based Annuity research company, providing services to enterprises. Vision - Annuity research companies need to continuously update the US government about their new products and changes in existing products which is tedious, and wanted to ease the process. Solution - To make this process easier, Emorphis developed a Document Management System for the client. The solution periodically downloads documents through FTP, classifies them, and loads them into the system. Provides a mechanism to associate documents with products, and to extract relevant portions of the document and store them separately. The application generates email notifications to users on arrival of new documents and filings. Our solution is integrated with their existing database. Product - Emorphis developed this product for media, publishing houses and corporates who want to publish raw content digitally and beautifully for their niche audience. USP - iPublisher is more than a CMS. The user friendly, multi-device content publishing platform has changed the scenario of content publishing. Plug n play, customizable & highly scalable. Enables editors and publishers to create and represent content in story telling fashion. Publish niche content across various platforms & devices to lower on-going publishing costs. Enables you to enrich the content by text, images, video. Content once published gets displayed beautifully across phones, tablets, and PCs. More satisfied customers will promote recurring revenue.